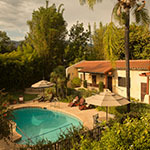 Ojai, California’s inns and bed & breakfast venues offer eclectic charm amid the expanse of Southern California’s scenic beauty. Guests will revel in the Ojai experience. 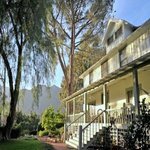 Make your Southern California vacation one to remember by booking one of these Ojai, California inns today! Enchanting and peaceful oasis with lush gardens and a myriad of architectural details. It’s an easy walk to the downtown village. Deluxe continental breakfast. Pool. 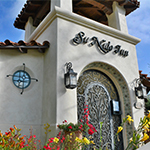 Mission Revival style inn featuring one- and two-room suites overlooking a lovely center courtyard. Steps to eclectic shops and restaurants in the village. Ojai’s first schoolhouse, built in 1874, was transformed into a bed & breakfast. Gourmet, locally sourced breakfast. Garden weddings. 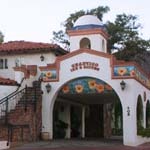 Gourmet cooking classes on site at the Ojai Culinary School. Spa treatments. Pet friendly. 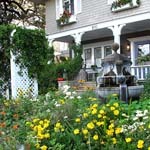 Artistic old-world style boutique villa-inn, just ten minutes to the historic village. 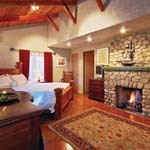 Rooms, suites, bungalows and vacation cottages. Pool. Designed with comfort in mind, the Chantico Inn welcomes you to a place where old-world style meets modern comfort and convenience. Located in the heart of town. Continental breakfast. Pool. A haven of beauty and tranquility nestled on a five-acre hilltop, this secluded retreat features 12 completely renovated guest rooms, most with private garden or patio, and all with panoramic views of the Ojai Valley. 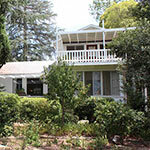 This retreat features vegan/vegetarian cuisine from former home of philosopher J. Krishnamurti. Serene grounds and nearby orange groves inspire guests to slow their pace and reconnect with nature. Historic craftsman farmhouse secluded among orchards in Ojai's East End. 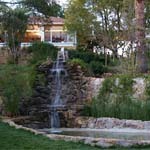 With spectacular views, the Churchill Residence is a favorite for any group seeking a tranquil retreat. Accommodates up to nine guests, includes a pool and hot tub.